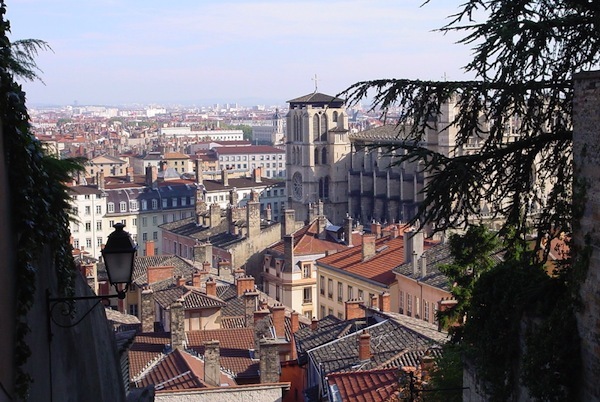 There is plenty to see in Lyon, France. They have a magnificent Basilica decked out with the most intricate mosaics, a plethora of world-class museums, including the Musee des Beau-Arts, a historic old town which had once been the center of the silk industry and a newly revitalized river bank district lined with eye-popping, industrial chic buildings and trendy art installations. But I was there first and foremost for the food. This 2,000-year-old city, considered the world capital of gastronomy by many, is home to approximately 2,000 restaurants, with 22 of them sporting Michelin stars. This is fabulous if you are visiting for a couple of weeks, but très difficile if you are only there overnight. 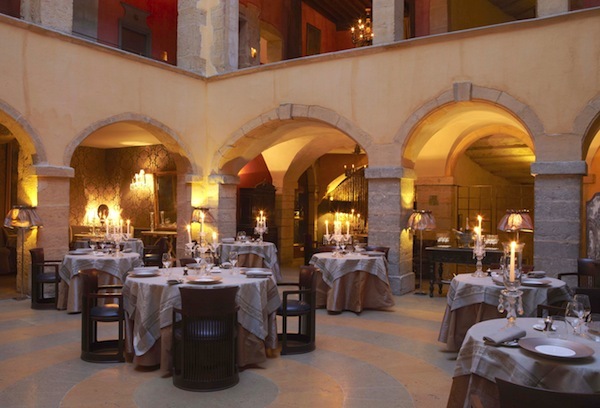 I chose the Michelin starred Les Loges restaurant for our dinner. This had instigated some lively debates between my friend and me, since we only had one night to eat in Lyon and everything hinged upon making the right selection. Needless to say, I won…and I nailed it! 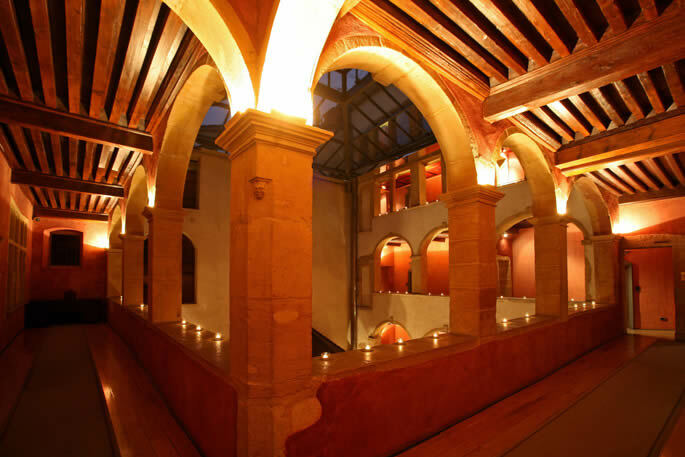 As we entered the 5-star Cour des Loges Hotel, a crown jewel in Lyon’s old town, we felt like we had wandered onto a theatrical set of some big budget historical drama. We kept expecting to bump into Richard Burton and Geneviève Bujold, dressed in royal attire. 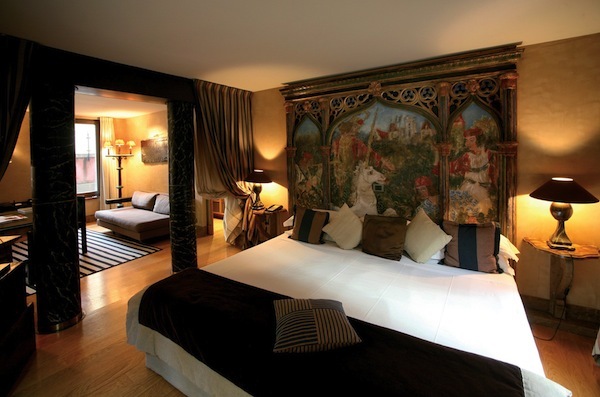 underground spa, hamman, swimming pool, romantic bar, well-stocked wine cellar and that’s just for starters. 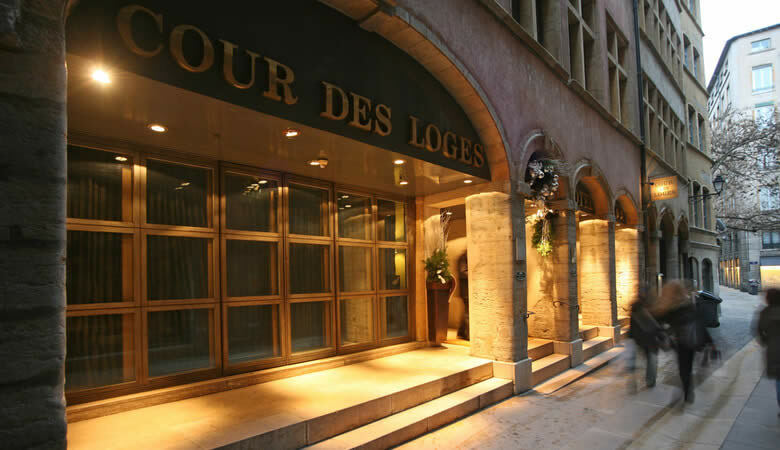 After all, we were there to partake of the haute cuisine at their signature restaurant, Les Loges. We were shown into the enchanting restaurant, where we received a warm welcome by the captain, which was followed by three hours of attentive, yet never intrusive service by the friendly waitstaff. They all seemed genuinely proud, as they presented us course after course of Chef Anthony Bonnet’s culinary creations, as well they should be. 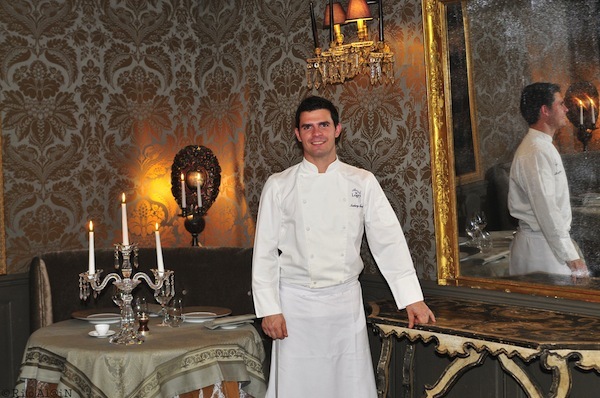 Each dish was a sensory work of art, highlighting Bonnet’s inventive rifts on traditional Lyonnais cuisine. 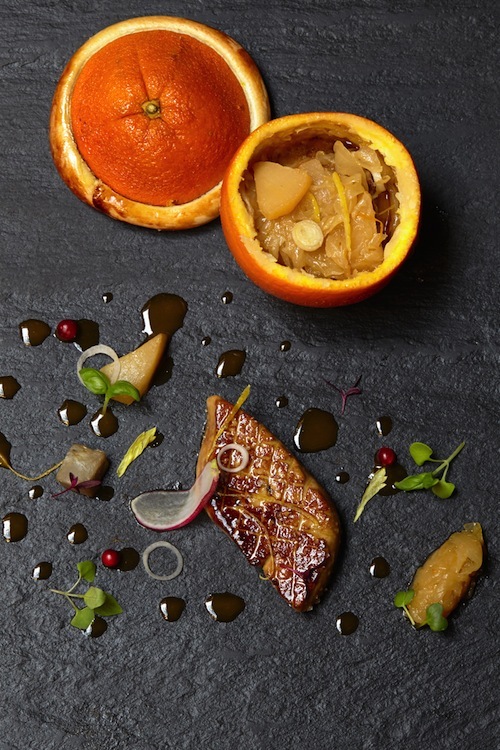 Highlights were a lush duck foie gras with root vegetables cooked in an orange, dramatically presented on a slate slab, a traditionally bred pigeon surrounded by a flavorful combo of crunch bread, mushrooms and spicy fruits, and a dreamy Grand Cru chocolate extravaganza for dessert. 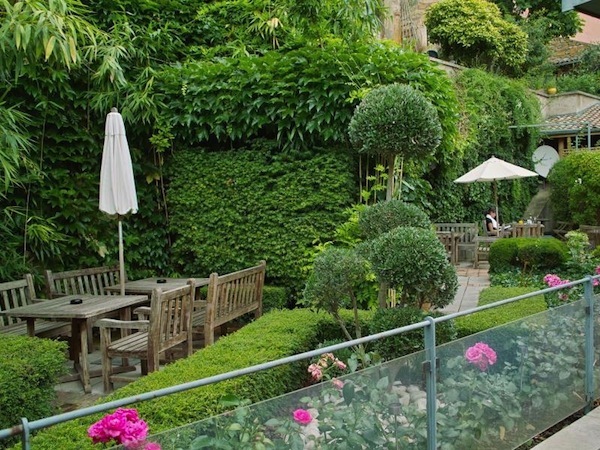 This restaurant is so magical that if anyone is looking for the perfect place to “pop the question,” a dinner at Les Loges could almost guarantee a heartfelt, YES!